Item # 308933 Stash Points: 3,999 (?) This is the number of points you get in The Zumiez Stash for purchasing this item. Stash points are redeemable for exclusive rewards only available to Zumiez Stash members. To redeem your points check out the rewards catalog on thestash.zumiez.com. Complete your athletic style in a classic design from K-Swiss. 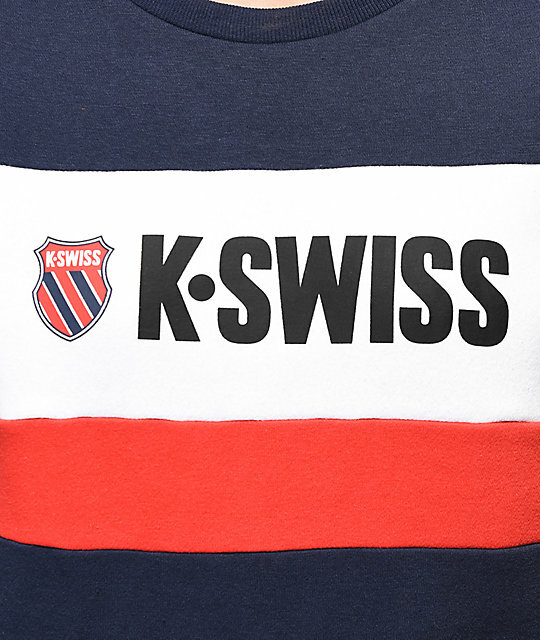 The Layline Red, White & blue Crew Neck Sweatshirt from K-Swiss features a large K-Swiss logo screen printed at the chest, and red white and blue colorblocked construction for a simple composition. 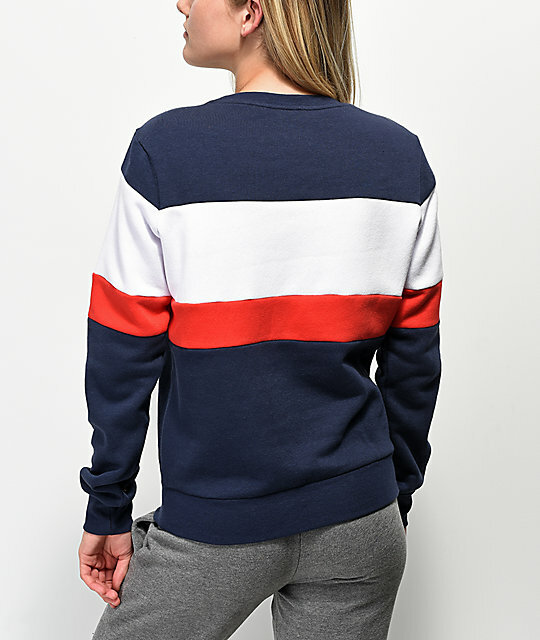 With a soft fleece interior, and ribbed knit crew neck collar, sleeve cuffs and bottom hem, the Layline Crew Neck Sweatshirt is sure to keep you comfortable while maintaining your sporty style. 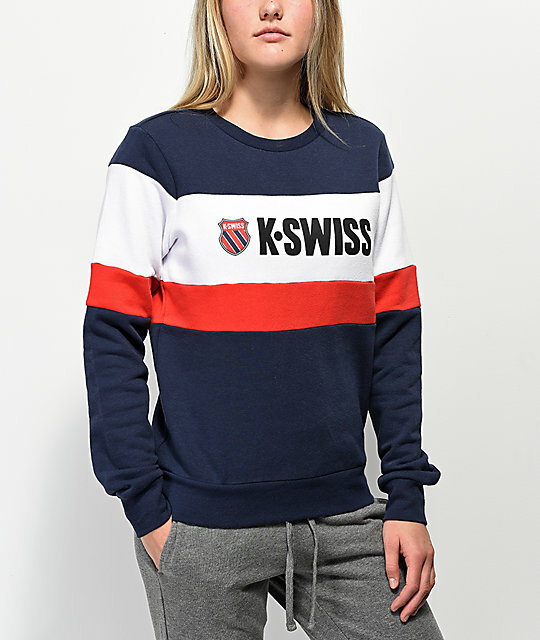 Layline Red, White & blue Crew Neck Sweatshirt from K-Swiss. Red, white, and blue colorblocked construction. Screen printed K-Swiss logo at the chest. Ribbed knit crew neck collar, sleeve cuffs and bottom hem.